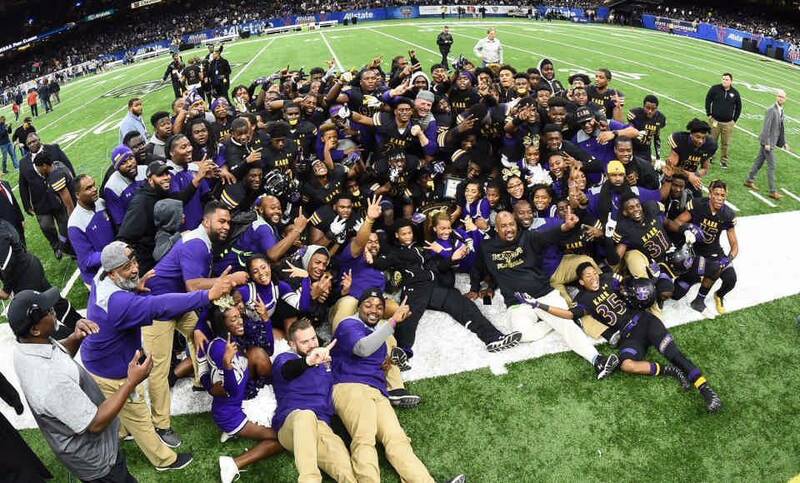 While there is a compelling case to be made by a few area schools, Edna Karr is unquestionably the team to beat until proven otherwise in Class 4A. That applies not just locally but on a statewide basis as well. Such is the case of a program which has won two consecutive state championships and has appeared in state title games in seven of the last eight seasons. Brice Brown has done a terrific job with his Cougars and despite several key losses to graduation, he has another very good team in 2018. With Ronnie Jackson and Ahmad Antoine back to lead a stout running game, the Cougars will be hard to stop. There are three experienced, good wide receivers. Devin Bush and Austin Kent are stars defensively. Warren Easton has perhaps the best quarterback in the area, if not the state, in Lance Legendre. Defensive back Chester Kimbrough is superb as well. Caleb Etienne is a huge, talented tackle. Zabien Wilson is a good athlete. Lakeshore coach Craig Jones is as good as it gets. Though he lost a lot of talent to graduation, this is a good team once again. The foundation has been built. The Titans have had three players competing to replace Chris Penton at quarterback. Maximus Lowery is an outstanding running back while Jake Bernard is a big-time receiver. Christian Westcott will figure prominently as well. Jake Smiroldo had seven touchdowns last year at wide receiver. McDonogh 35 lost a lot of players to graduation but the Roneagles will be solid, as always. They will be led by a pair of stars in the secondary in Jaden Henderson and Austin Jones. Steveland Williams figures as the primary running back.